London: Trevor Bayliss believes he will be involved in the most difficult selection meeting of his two years as England coach when he and the panel meet to discuss the squad for next week's first Test against South Africa. Injuries to key bowlers remain an issue, with the new-ball pair of James Anderson and Stuart Broad both having fitness concerns. Meanwhile there is a chance that former captain Alastair Cook could be saddled with another opening partner following Haseeb Hameed's loss of form, with the Lancashire rising star yet to score a first-class fifty since returning from the tour of India. But Bayliss insisted he was heartened by the options at his disposal in the run-up to Saturday's squad announcement. "In the two years I've been here it will be the toughest selection meeting that I've had," said Bayliss at an event organised by series sponsors Investec in London on Thursday. "It's a good problem to have when you're struggling to know which guys to put in. "Someone like (Surrey's) Mark Stoneman has been doing well at the level below. Does Joe Root go back to three and we put an extra middle order player in? "Where does Jonny Bairstow bat? This is all up for discussion and we'll come up with an answer." Broad is struggling with a bruised left heel but England hope he will be able to play for Nottinghamshire against Surrey in the One Day Cup final at Lord's on Saturday as a way of proving his fitness for the first of a four-Test series. "We'll know more tonight (Thursday) before our selection meeting in the morning," Bayliss said of Broad. "He's been training the last couple of days when we've been putting him through more of a test and if he comes through that he'll play in the one-day final as a test for the Test match." Anderson has recently returned from a groin problem, while Jake Ball (knee strain), a county teammate of Broad, joined Chris Woakes (side strain) on the injured list on Thursday. While Hameed has been searching for runs, Cook has been in superb form for Essex, scoring three centuries since standing down as Test skipper, a position now occupied by Root, for whom next Thursday's match at Lord's will mark the start of his captaincy reign. 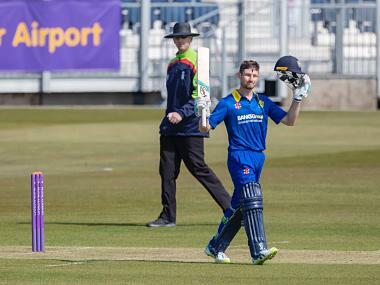 "It's great that after giving away the captaincy he's still got that hunger for runs and it was great to see him making another hundred yesterday (Wednesday)," said Bayliss. 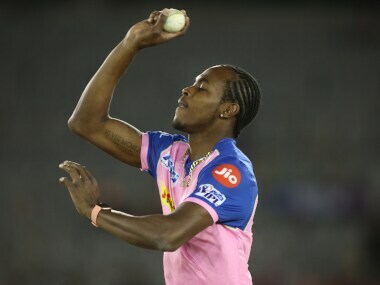 "I'm sure that as an ex-England captain it will be bit of a juggling act for him in terms of how much he gets involved. "I know that he and Joe Root get on really well. Cook is very well respected in the team and I'm sure if he feels something needs to be said, he will." England will have to decide whether to give Gary Ballance another recall following the Yorkshire batsman's fine start to the season. 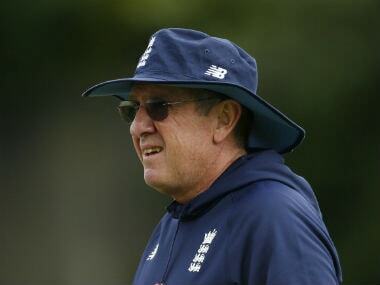 "The one thing that Gary has always had in his favour is that he is mentally tough," said Bayliss. "That's the reason why he is able to come back from being dropped a couple of times and why he's been able to score a lot of runs for Yorkshire this year. "There's no reason why someone like that can't come back and a make a success of international cricket."